I’m going to be honest here I have spent the last few weeks feeling very angry at one of my greatest heroes. 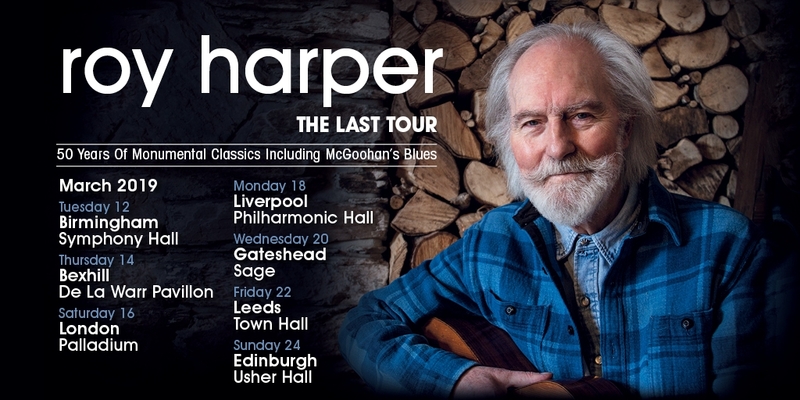 Roy Harper announced a tour a few weeks back and as part of that he is playing at the Sage in Gateshead tonight. The only problem was that the tickets were £50 each for the best seats and although there were some for £30 I felt that that was a lot of money to pull out for a bad seat. I also felt that although as I have already said I love the man that the ticket prices were a little inflated for a man of his stature (no offence Roy!) I’ve seen several people of a similar fame level for far less that he was asking especially as I thought (wrongly as it turned out) that he would be appearing solo. Then of course there was the constant sell on Facebook of his new albums, of signed prints and stuff and when he announced that this would be his final tour I somewhat cynically thought that this was a ploy to sell more tickets as the ticket sales at the Sage were somewhat slow (I may well be right as he has said at two of the gigs that this may not be his last tour after all!) Now this all seemed at odds with the Roy I had followed for many many years, someone I’d seen more times than anyone else and had seen in back rooms of pubs where you turned up and paid a couple of quid on the door to see him. His songs always seemed to be anti-capitalism and here he was selling his soul in his old age. 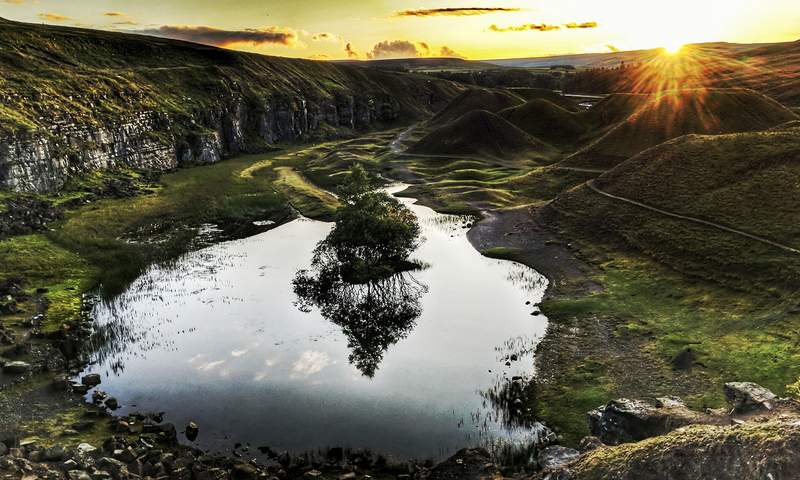 All this made me resolve not to give it another thought – I wasn’t going! 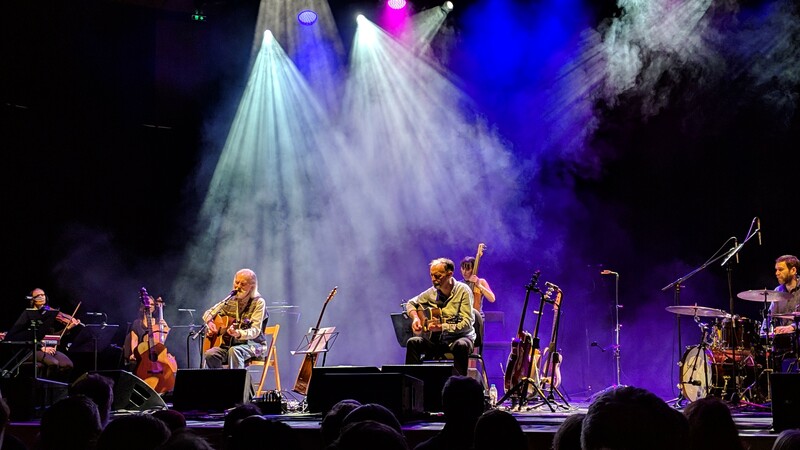 But then of course the reviews started coming in from the earlier gigs and this was ripping me apart – I’d not seen him since 2003 and missed the gigs he had done since then (which have been few and far between) and apparently this might be my last chance! 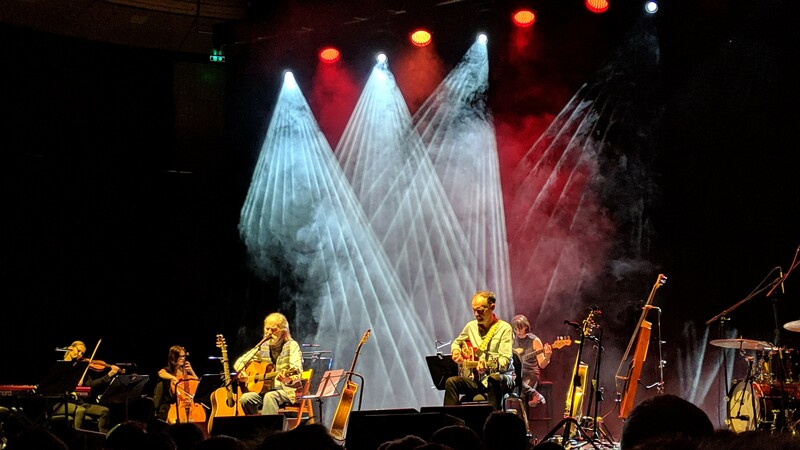 Then on the Sunday I was thrown a lifeline – someone was offering a free ticket to the Sage gig but the offer had been posted the evening before, surely it had gone by now, thankfully it hadn’t. 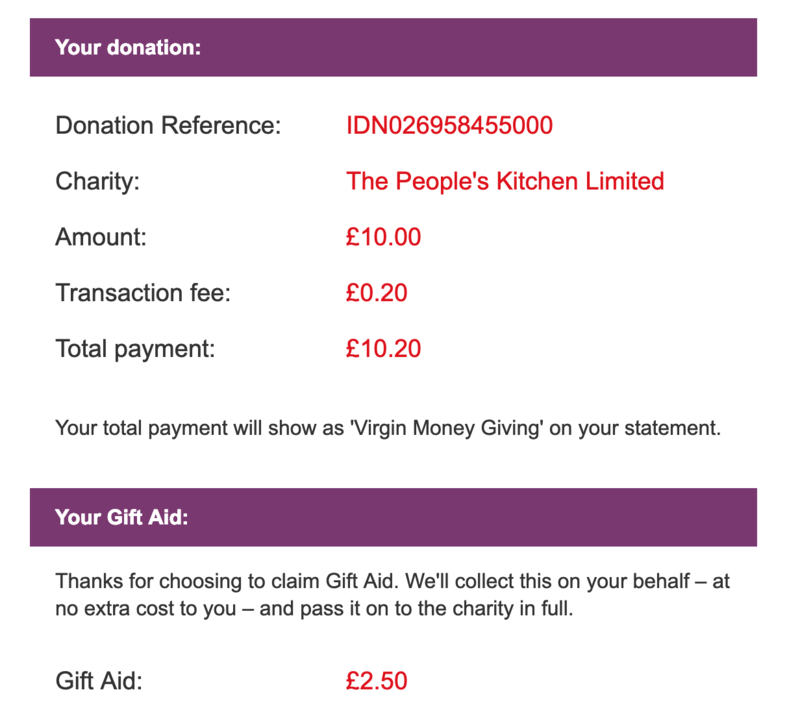 The guy said he would post it to me and only asked (or rather suggested) that I make a £10 donation to charity. I just hoped it would arrive on time! 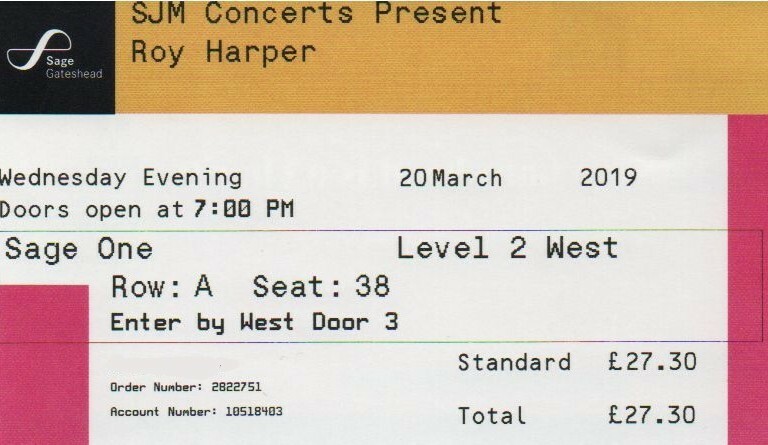 It did – it was a balcony seat as I said and one of the ones on the side as far as I could work out. It wasn’t ideal I like to be closer to the stage so I can actually see the artists playing their instruments and take photographs but I was in the room and that was all that mattered. As I made my way to the venue I wondered if I would be able to sneak downstairs and fill one of the many seats that I knew were empty in the stalls or even fantasised that when I got to the venue there would be a sign saying the balcony was closed and we could exchange our tickets for stalls tickets at no extra charge! I know I have some crazy ideas!! 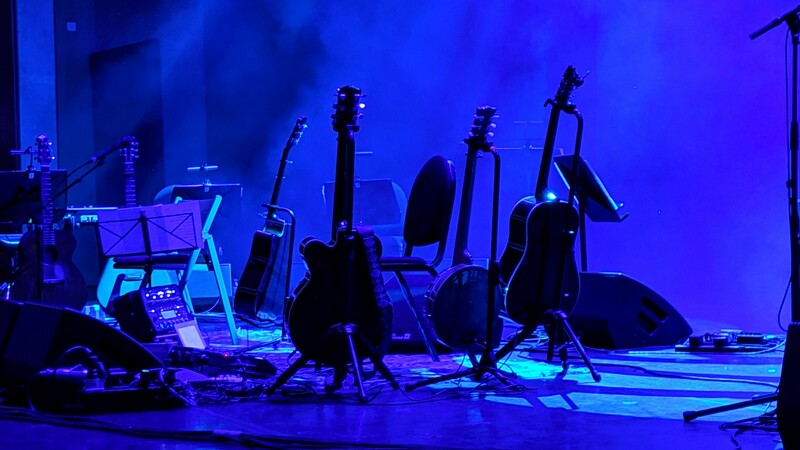 I was standing in the bar when my friend Paul suddenly appeared – he had apparently only just bought a ticket yesterday when some of the £50 tickets suddenly became available in rows D&E – like me he said that he likes to be near to the stage. We chatted for a while and then I said that I better make the trek up to the circle. I was only halfway up the stairs when a steward approached me and told me that they were offering people with tickets for the balcony a free upgrade to seats in the stalls! She pointed to a map and showed me some seats in about rows P to W. Well I thought at least it’s downstairs and if I can see a seat down the front I’ll try and sneak forward once Roy is on! In the end when I went to see the steward downstairs he had some seats available in row G – would I like one of those? Oh go on then! So I ended up sitting in the 7th row in seat G9 which the steward duly scrawled on my ticket! RESULT! My bottom had barely touched the seat and I ended up having a good old chat with the bloke next to me. 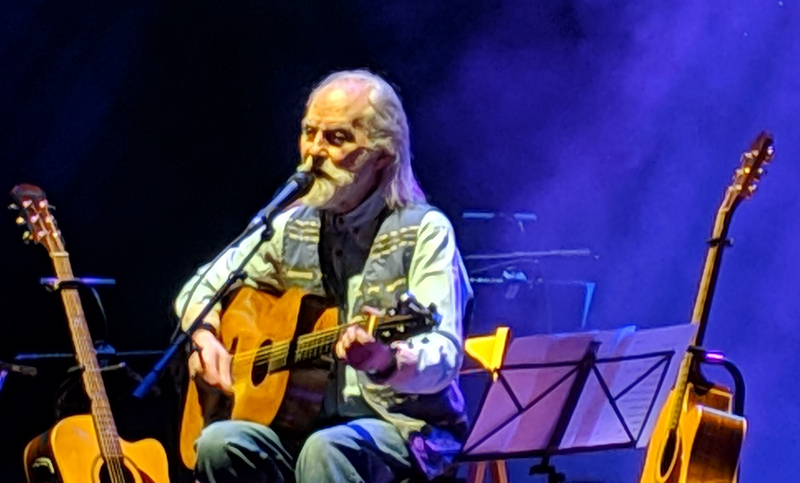 He was there with his son and was not only a big Roy fan but loved Nick Harper too – this is why I love being back in the North East, I can’t remember that ever happening at a gig in the south! We only had to wait for about 15 minutes before the lights went down and the band came on. 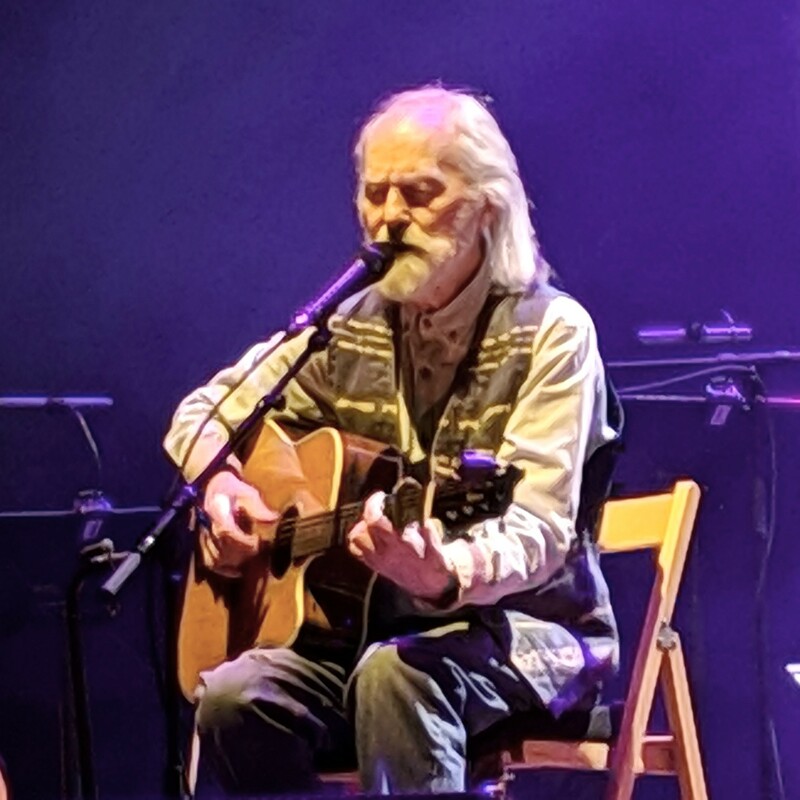 The last time I saw Roy with a band was back in 1980 and was also the first time I saw him! Then though it was far more of a rock band with Preston Hayman on drums and Andy Roberts on guitar. I’d seen him at the RFH in 2001 with various other artists (including the late David Bedford) but not a proper band! 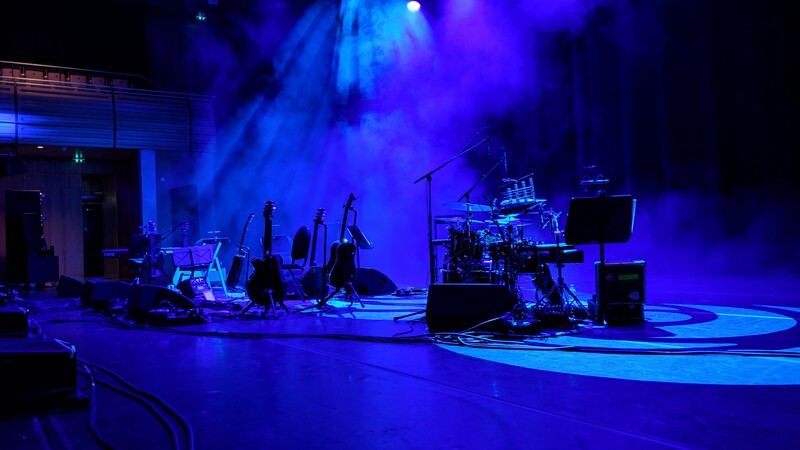 All the band – there was guitar, drums, bass (stand up and electric), cello, keyboards, violin and trumpet all got into place before Roy sprinted onto the stage and sat down at his microphone and asked the audience where he was! 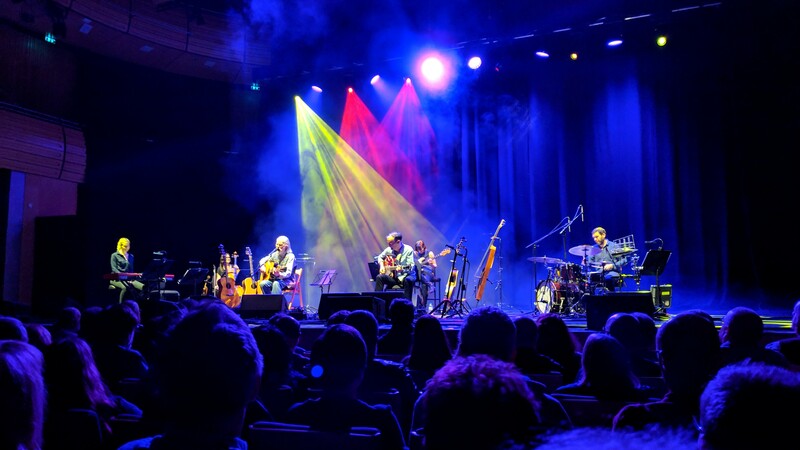 He opened with Hors D’Oeuvres from his legendary Stormcock album but as with everything on this tour it sounded so different with this band. Next up was what I thought was a new song but turned out to be from his Man and Myth album which I should probably catch up with! Then it was back to Flat Baroque and Berserk for Don’t you Grieve with the now familiar introduction about how he has always thought that Judas was Jesus’ best friend rather than his enemy. 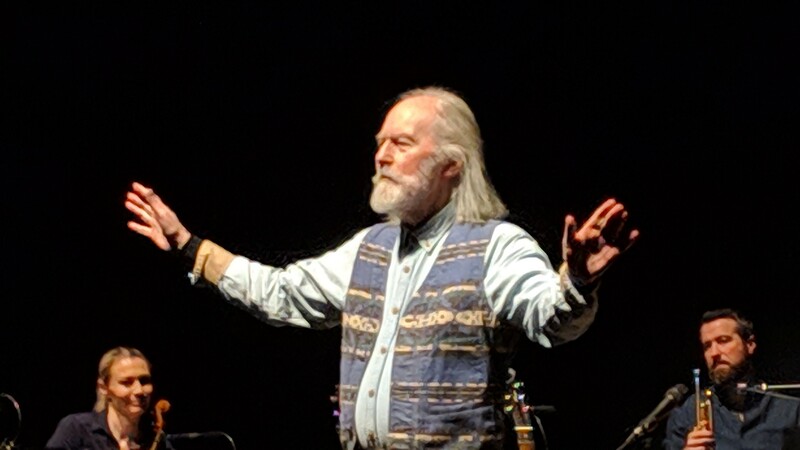 The next one was a new song and it was basically about trial by newspaper and probably inspired by the court case which he had to fight over many years – it was certainly dedicated to the Daily Mirror! Then to round off the first set there was the mighty McGoohan’s Blues. He introduced it by saying it had an intro that went on forever, then there was the main part of the song and the end went on forever too! Clocking in at 18 minutes he did have a few vocal flubbs during it but at the end of the day he is almost 78 and he doesn’t have prompting or lyric sheets like some his age do! 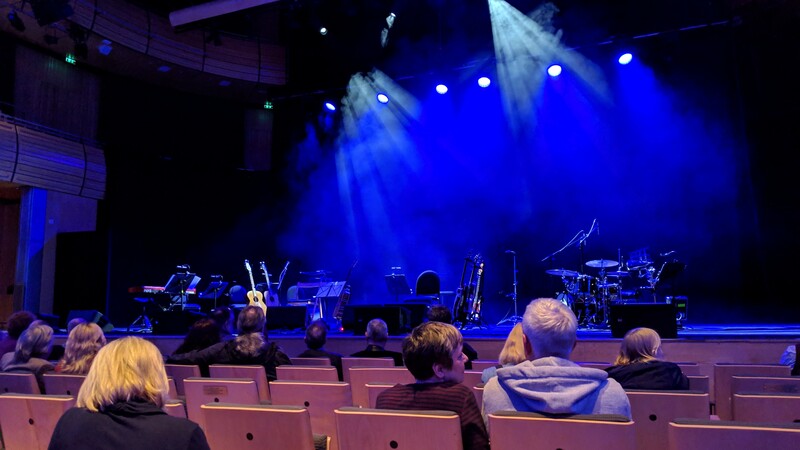 During the interval I went to the bar – I really don’t like the Sage as a venue – the performance spaces are great but the communal areas are rubbish and the drinks are overpriced for what they are! They used to do a couple of beers from one of the local breweries but that seems to have gone so it was the usual crap lager, crap Guinness or crap cider choices! I went with the latter once I finally got served. 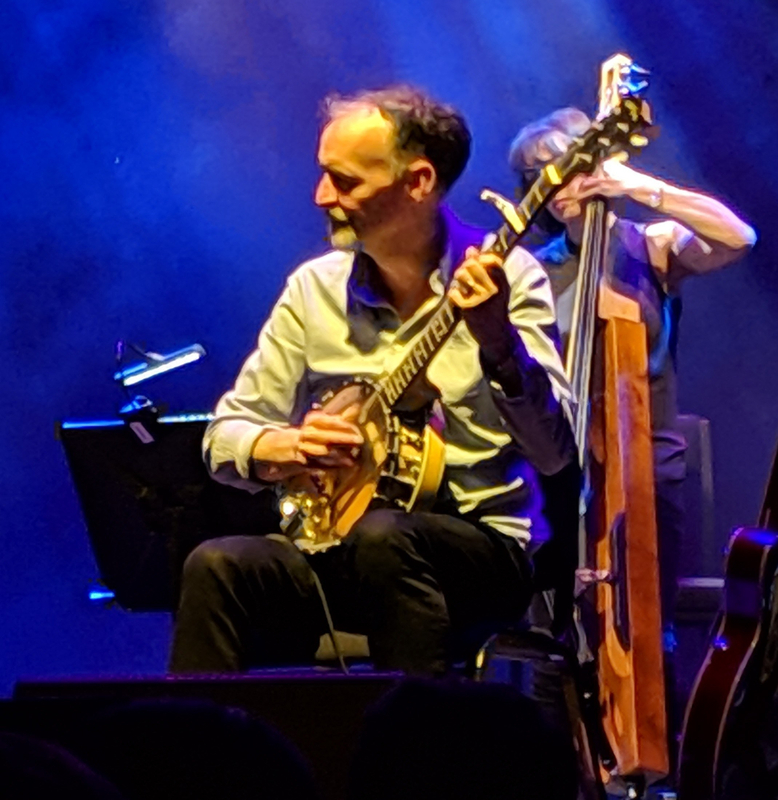 I made my way back to my seat and the guy next to me commented that Roy had been quite quiet during the first set, none of his rambles – he recalled going to see him once and 40 minutes into the set he hadn’t played anything yet! 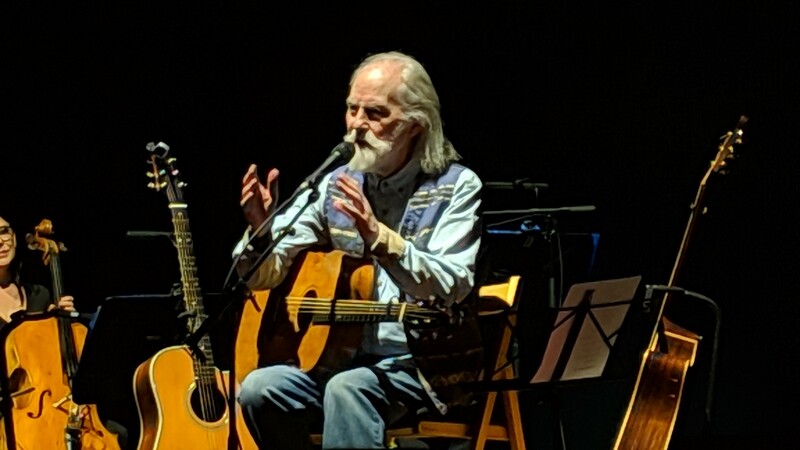 Another new song The Wolf at the Door followed and then Highway Blues after a story about hitchhiking in France in the 1950s! The beautiful Hallucinating Light introduced as a song we could all live in and then finally Cricketer. Roy started to play the introduction and then stopped, he played the intro again and stopped again. 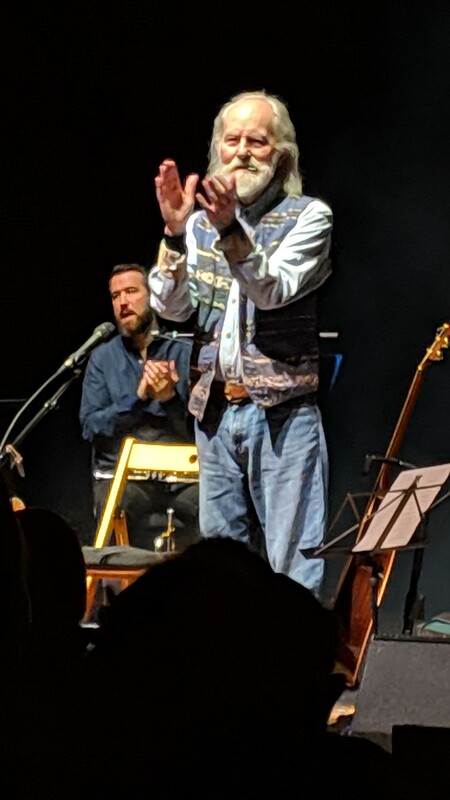 he looked out to the audience and said “what’s the first word again” It was duly shouted out to him and he started the song for the third time. It was a lovely way to end particularly with the trumpet and strings filling out the sound! And that was it – he came to the front and addressed us without a microphone and thanked us all again. I am so glad I got to see him and will forever be thankful to the kind wonderful soul who have me a ticket for tonight. Was it worth £50 – I don’t know but as I don’t have £50 that question is immaterial!